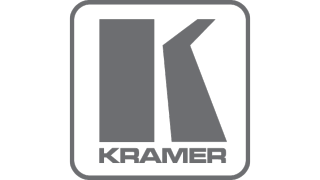 On December 27, the company announced that it had acquired cloud-based automation and control software company iRule, with which it has partnered since 2014 to develop the Kramer Control platform, slated for release this May. According to Clint Hoffman, chief operating officer of Kramer Electronics U.S., this latest move is a step to further solidify the company’s goal of creating a modern, enterprise control platform that can go toe to toe with the biggest names in the commercial space. To do so, the company has chosen the approach of teaming up with experts in the categories to which it’s aimed to expand—for example, buying a 50 percent share of collaboration tech company WOW Vision to develop its Via line of wireless collaboration and presentation products. According to Hoffman, Kramer also began working with, and investing in, iRule to develop the company’s K-Touch software, a small-scale control solution. Hoffman said that the iRule and ON Controls brands will continue operating going forward, as solution providers for the residential space. As for the Kramer Control platform, Hoffman said it is currently being evaluated in pilot programs with “some fairly high-profile companies,” and that the pilots are going well. That’s good news for Kramer, as Hoffman said the company’s ultimate goal is for the platform to capture some of the market share dominated by the “three companies” that have led the control and automation space for the past 30 years. As Hoffman explained, the cloud-based nature of Kramer Control will help provide integrators with more recurring revenue opportunities, in much the same way that software company Adobe has shifted its model from a one-time, disc-based purchase to a monthly license fee.